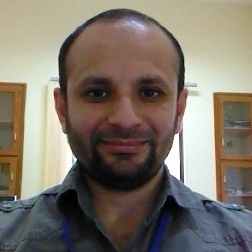 Assistant Professor at Department of Computer Science and Engineering, Jubail University College. My academic genealogy -- created through Mathematics Genealogy Project and David Albert's Genographer. Research interests include diagnosis, probabilistic reasoning, knowledge compilation, structure exploitation, satisfiability, constraint satisfaction. Assistant Professor at JUC (June 2012 - Onwards). Visiting Researcher at NICTA Australia (August 2011 - May 2012). Assistant Professor at SEECS NUST (December 2009 - July 2011). Visiting Researcher at NICTA Australia (July 2010 - September 2010). Visiting Researcher at InterfereX project of NICTA Australia (April 2009 - December 2009). Visiting Lecturer at Department of Computer Science, Quaid-i-Azam University (Feb 2004 - Jul 2004). Software Engineer at Elixir Technologies (Feb 2002 - Mar 2004). Semester 2, 2012, CSE, JUC, KSA. Semester 2, 2010, SEECS NUST, PAK. Semester 1, 2011, SEECS NUST, PAK. Semester 1, 2010, SEECS NUST, PAK. Semester 1, 2004, CS QAU, PAK. Ph.D. in Computer Science, Australian National University, Canberra, Australia, 2009. Was a NICTA endorsed Ph.D student at Computer Science Laboratory (CSL) Research School of Information Sciences and Engineering, while being part of the Logic and Computation program of NICTA/CSL. M.Sc. in Computer Science, Department of Computer Science, Quaid-i-Azam University, Islamabad, Pakistan, 2002.